Concerned that your deck may be in need of repair or that it is in danger of possible collapse? For a modest fee, we’ll send a deck construction expert to your property to provide a professional assessment of your deck, its structural integrity and its code compliance. You’ll receive a detailed checklist that highlights any necessary or suggested repairs. If you would like to discuss completing the necessary repairs or a new deck design, we can arrange a complimentary design consultation with our Project Developers. During the consultation, we explore the possibilities that meet and exceed building code requirements, and complements your outdoor living objectives. 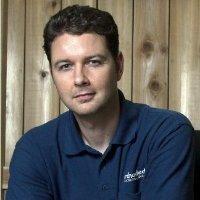 Click here to see our full Archadeck process. If you have concerns over the current condition of your deck, don’t take chances with the safety of your family and friends. 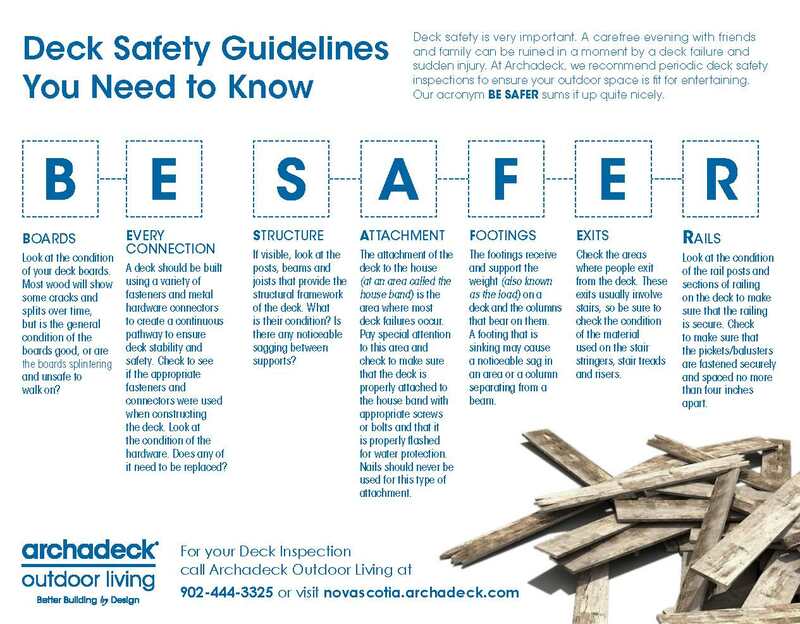 Please click here to download a copy of our Deck Safety Tip Sheet and contact Archadeck today to schedule your comprehensive deck safety inspection.